Spain and Portugal are the most heavyweight teams in the group making the group a little bit unbalanced. The two European teams have been drawn alongside Iran and Morocco and are favorites to reach the quarter-finals of the world cup. Let’s take a quick look at the start player of the group. No doubt one of the best players in the world, who already bagged a major honor under his belt in 2016 by lifting the Euro Cup, is desperate to power his team once again. The hungry man will surely hunt for breaking more records in this FIFA world cup Russia 2018. 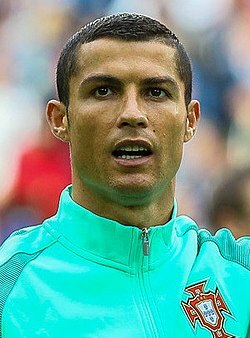 Ronaldo will lead his team from the front as his experience and skills will help the team to go ahead under his captaincy. Ronaldo has a great combination of left and right foot and is equally blessed with heading skills; it will be a threat for the defender to stop him. Isco who has shown much with his dribbling and goal scoring skills putting on his national shirt will be a player to watch in this edition. Fans are quite disappointed with the retirement announcement from Andres Iniesta after FIFA world cup Russia 2018, but thanks to Isco who will continue the legacy. Isco has proved several times that why he can be called the perfect midfielder. Morocco coach Herve Renard has managed o established a defensive team which has led him to compete for the world cup first time in 20 years. In Russia, the manger will deliberately depend on the defensive combination of Medhi Benatia and Romain Saiss to defend giants like Spain and Portugal from making a mark in the score sheet. However, in order to progress through the group stage, they need to rely on their attacking talent to net goals and Hakim Ziyech is one who will hog the limelight in doing so.